Seems like a good price for a backup laptop or something for just using in the bedroom or living room. ​Yup, available all day or until you buy one. Unexpire! 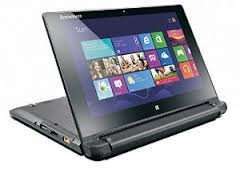 This or a Lenovo miix 3? £10 cheaper than the recent Argos refurb deal. Bit too small to be my main device but ordered one to use netbook style for browsing, viewing media etc. Ideal for travelling and holidays etc. Swapping out the conventional HDD for a much faster SSD is not difficult, which will speed things up significantly. It may void the warranty but at this price I'm not too bothered. £10 cheaper than the recent Argos refurb deal. Bit too small to be my … £10 cheaper than the recent Argos refurb deal. Bit too small to be my main device but ordered one to use netbook style for browsing, viewing media etc. Ideal for travelling and holidays etc. Swapping out the conventional HDD for a much faster SSD is not difficult, which will speed things up significantly. It may void the warranty but at this price I'm not too bothered. ​It's not only cheaper but also a better spec than the argos one. I thought was no way to access the HDD on these? I may be wrong. Look at this youtube video here CLICK HERE. Also google it to find lots of user forum threads discussing how to do it. The physical installation appears quite straight forward. The tricky bit may be cloning The 'Win 8.1 with Bing' to work on the new SSD but there's plenty advice out there. I'm no expert but i'm going to give it a go as the benefits are worth the effort. I'm a novice wanting to buy a tablet/laptop for my even more novice husband! I'd be grateful for advice as to whether this would be suitable for a birthday present. He just does the following: email, surf the web and shop a little, Internet banking, use MS Word and PowerPoint. He occasionally uses Iplayer to watch TV programmes he missed (we also have Amazon prime but usually watch moves via a fire stick on our TV). He does not download music or play games. Any advice appreciated. I'm a novice wanting to buy a tablet/laptop for my even more novice … I'm a novice wanting to buy a tablet/laptop for my even more novice husband! I'd be grateful for advice as to whether this would be suitable for a birthday present. He just does the following: email, surf the web and shop a little, Internet banking, use MS Word and PowerPoint. He occasionally uses Iplayer to watch TV programmes he missed (we also have Amazon prime but usually watch moves via a fire stick on our TV). He does not download music or play games. Any advice appreciated.